Now why on earth would you buy this ebook when you can read all of the posts right here for free? 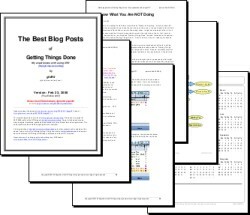 Free GTD worksheets (worth $10)! Convinced? Purchase this wonderful ebook for yourself or as a gift for someone else right now!